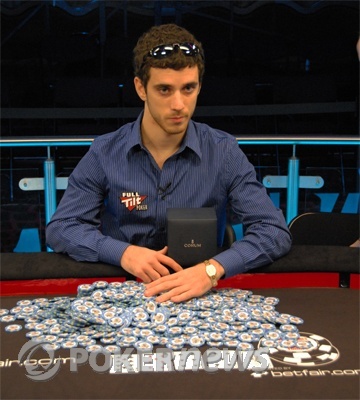 Dario Alioto became the third player from Italy to win a WSOP bracelet. 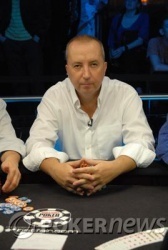 Valter Farina won a bracelet in Seven-card Stud in 1995. 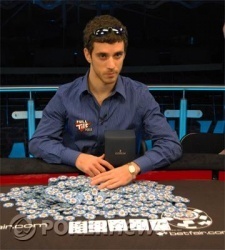 The Italian Pirate Max Pescatori won a bracelet in Hold'em last year. "I want to be the best player in the world at this game," Alioto said in a post-victory interview. "This is very special." Hand #166: Istvan Novak was all in preflop against Dario Alioto. The flop was and Alioto flopped a pair. The turn was the and Alioto picked up two pair. Novak was drawing dead and the meaningless fell on the river. Istvan Novak was eliminated in second place. He won £137,280. Dario Alioto is our champion and won £234,390. 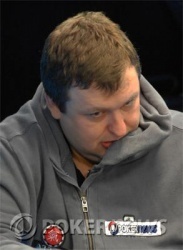 Hand #164: Alioto limped and Novak checked the big blind. The flop was . Both players checked. The turn was the . Both players checked. The river was the . Both players checked. Novak showed a pair of sixes and won the pot. Hand #165: Novak raised to 210,000. Alioto called. The flop was . Alioto bet the pot and Novak folded. Alioto won. Novak raises and takes the blinds. Dario accidently spills his chip tower when folding. Novak gives Dario a walk. Hand #160: Dario Alioto raised and Novak folded. Hand #161: Dario Alioto raised and Novak folded. Hand #159: Dario Alioto raised 120,000 from the small blind. Tony G called. The flop was . Alioto fired out 230,000. Tony G moved all in and Alioto called. Tony G was in the lead, but Alioto had a lot of outs as The G needed to dodge a lot of bullets to stay alive. The turn was the and the river was the . Alioto rivered a straight and Tony G was eliminated from the tournament in third place. The G won £94,380. We have reached heads-up play. Dario bets 100K, takes it down. Tony G calls, Novak calls, Dario checks.